We knew our stay in Moscow was going to be great, from the moment we stepped into the hotel lobby. 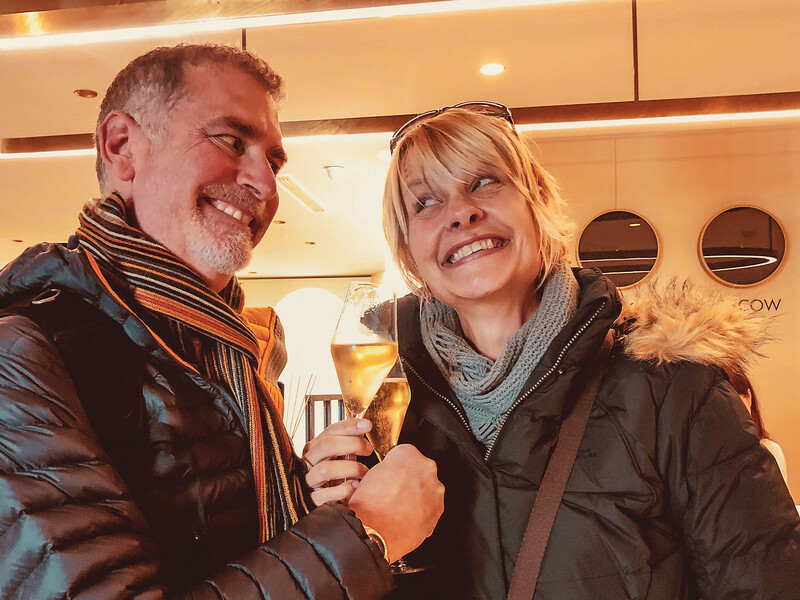 Upon arrival we were greeted by Olga, the hotel manager and Igor the bellboy/barman/waiter/comedian with a hearty, “Welcome to Moscow, welcome to the Hotel Akvarel, have a glass of champagne!” And we were not wrong! 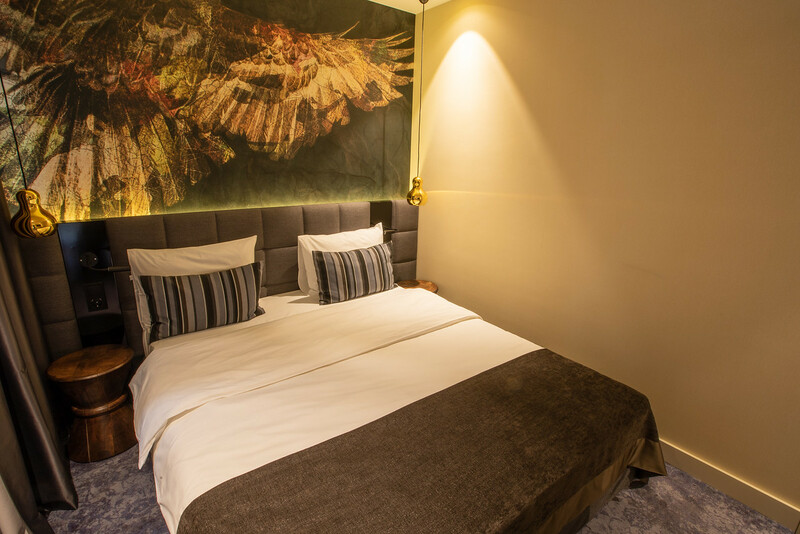 The 4-star Hotel Akvarel is a boutique style hotel with just 23 tastefully decorated rooms with charming watercolour paintings by local artists. Akvarel is Russian for watercolour – a new word to add to our embarrassingly limited Russian vocabulary. Our room was located up on the third floor. A lovely large king size bed which looked very inviting with lots of comfy pillows and cushions. Facing the bed was a giant TV offering channels in both Russian and English, but with so many exciting plans for Moscow, we never had the chance nor the time to use it. That’s a good thing! There was a lounge area with a sofa and coffee table, and a desk – great for all of Jonathan’s computer and camera equipment. On the table were complimentary bottles of water and chocolate cakes! Champagne and chocolate, this is our kind of hotel. The bathroom was somewhat small, but it had a great rain shower, plenty of towels, dressing gowns, slippers, hairdryer and toiletries and was spotless. It also had a really cool mirror, telling us ‘You Look Great’ – if only that were true! There was also plenty of storage and space for your own toiletries, so often forgotten in many hotels. Having a good size wardrobe in our hotel room, we decided to go wild and unpack for a change, rather than living out of a suitcase. And before you ask, yes free and, fast WiFi was available throughout the hotel. Breakfast was included at the hotel. The Cafe Americano was great, and the friendly staff at the Hotel Akvarel soon learned it was no point asking if we wanted more coffee, but to just keep refilling our cups. You could help yourself to cereals, croissants, cheese and jams, plus order off the breakfast menu. The oatmeal with berries was really nice, as were the scrambled eggs with spinach. But our favourite part about the hotel – well after the champagne, chocolate and friendly staff was the location. Wow! The Hotel Akvarel is located in a cute courtyard on a pedestrianised street in a very glamourous part of Moscow. 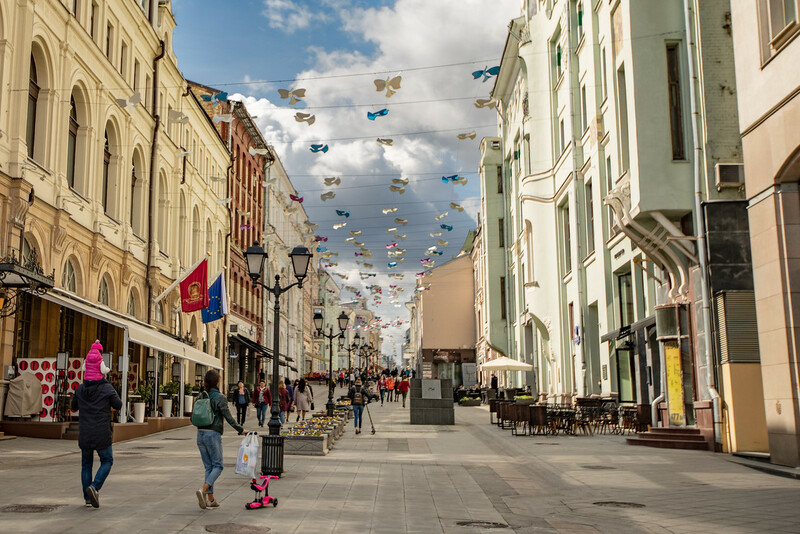 Close to many designer shops, bars and restaurants (don’t worry, the hotel rooms are sound-proofed, so you don’t hear any noise from the street) and just a short walk to many of Moscow’s main attractions – the Kremlin, Red Square, the Bolshoi Theatre, GUM store. We felt very safe and comfortable walking around the city from our hotel at all hours of the day and night. The hotel is also within walking distance to three metro stations, so it’s straightforward if you want to venture a little bit further. Likewise, getting around by taxi, we used Uber a lot, with no problems at all. Would we recommend the Hotel Akvarel in Moscow? 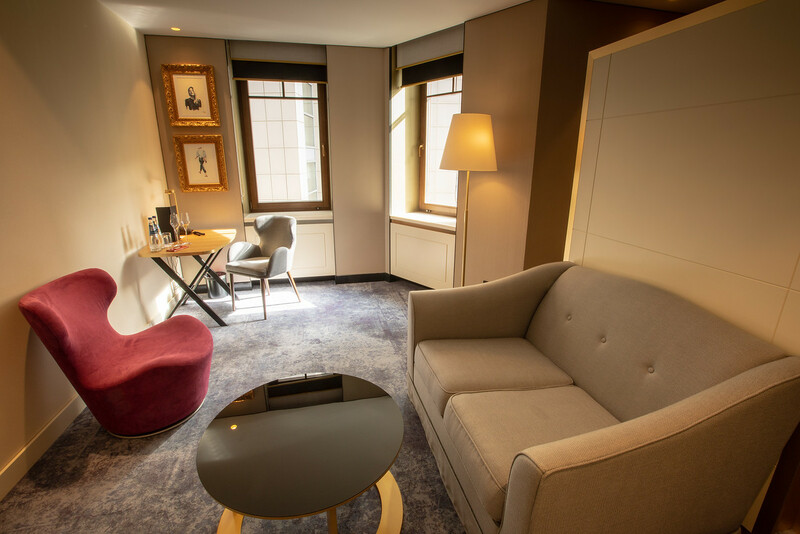 If you’re looking for a small boutique hotel in a great central location, yes we would definitely recommend the hotel.